Australian firm Chris Elliott Architects have been selected to exhibit in the Global Art Affairs Foundation exhibition “TIME -SPACE-EXISTENCE” during the Venice Architecture Biennale opening in May 2016. Chris Elliott Architects (CEA) is one of two Australian architecture firms amongst approximately 100 international practices to participate in the Dutch non-profit GAA-Foundation exhibition. 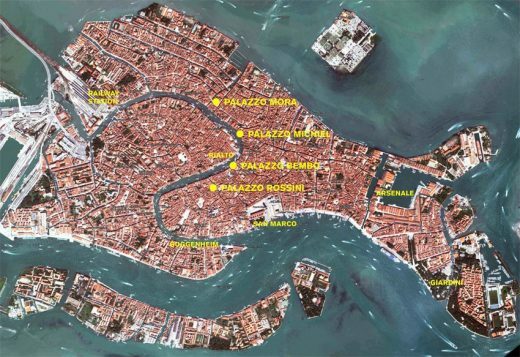 The CEA display will be held in the Palazzo Bembo near the Rialto Bridge in Venice. Director of CEA, Chris Elliott, has taken the commonly understood elements of ‘time’ – past, present and future – as a device to frame the display. The exhibit will focus on Elliott’s recent activities corresponding to these three concepts. PRESENT: a realised award – winning house, FUTURE: a theoretical design for a very tall green apartment building in Sydney, and PAST: Chris Elliott’s involvement in an ‘anti-project’, the community – based advocacy for the preservation of Waverley Cemetery in Sydney. 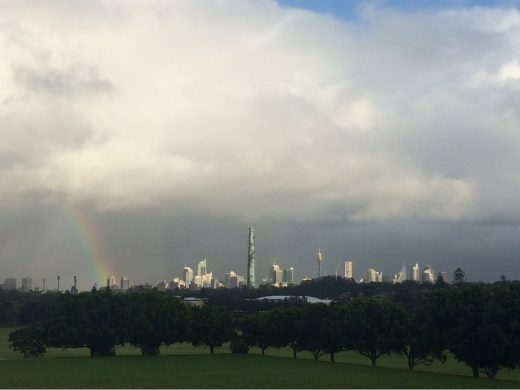 FUTURE: Sydney is opening up so – called new priority growth areas in the northwest and southwest of the city. Like many other cities we are destroying pastoral land and wilderness areas and threatening other species in the process. To combat this problem we propose allowing clusters of very tall green buildings (VTGBs) with height limits abolished on transport nodes in the city and suburbs. 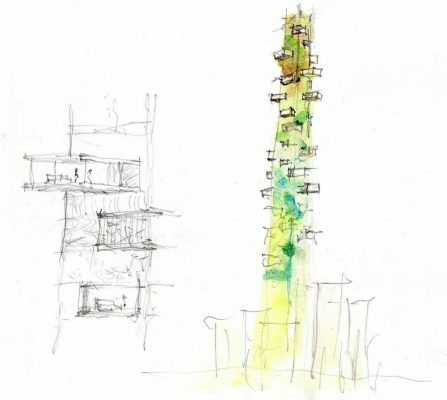 A theoretical proposal, for the eVolo Skyscraper Competition for ideas for vertical living, is our vision for this future. PRESENT: While pondering the idea of time and particularly the present – the here and now, like all architects we respond to what we find around us. 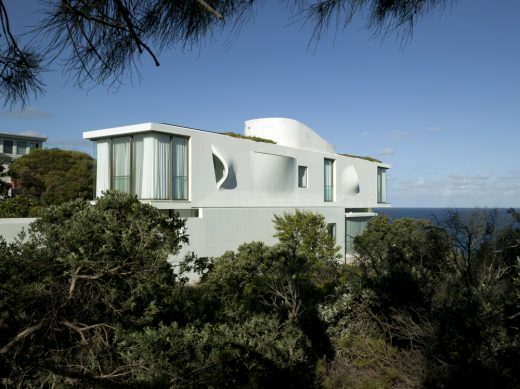 We present one of our projects, Seacliff House as an example of our approach. 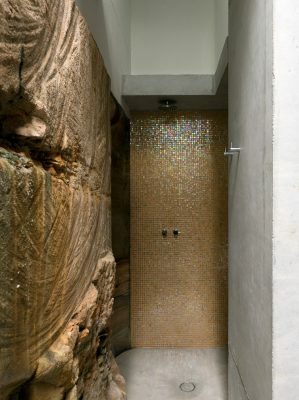 It features a transparent platform, a watery sandstone grotto, a long linear box with light scoops to frame and control views, privacy and sunlight, and a rooftop belvedere. 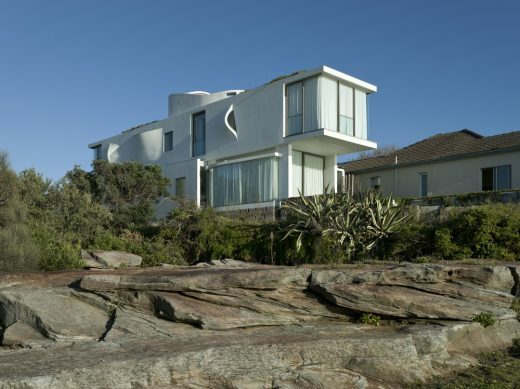 PAST: Chris Elliott joined a community effort to help fight against the proposed modernisation and insensitive redevelopment of this beautiful place overlooking the Pacific Ocean in Sydney. 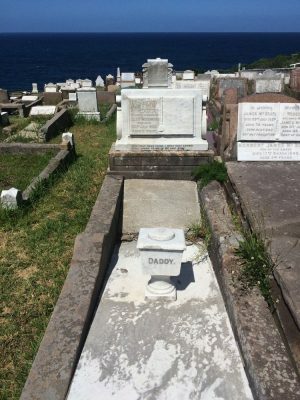 The community’s efforts have led to the State Heritage listing by the New South Wales Heritage Council. “We weave these notions about time together with the notions of space and existence. Although our own existence is ephemeral, the continuity of human life through the generations is not. The space that we use and the traces of our brief existence and the things that we fashion with our hands and machines help to give our lives meaning and help us to defy the limits of our human existence, ” said Elliott. “Our display looks back and looks forward, as we consider the work of architects – with projects and anti-projects, architecture and anti-architecture – and the impact these have on our planet. How we can house many new urban dwellers without causing harm is an ongoing problem of our existence. But it is one that architects must address.” Elliott added: “In the spirit of the overall concept for this year’s Architecture Biennale – ‘Reporting From The Front’ – I would like to report that in Australia we continue to imagine and explore unfamiliar terrain and possibilities. “I’m looking forward to the opportunity to present my ideas at this important gathering of architects, critics and the interested public. I am keen to be involved in discussion with my peers from around the world and to see the Australian Pavilion exhibition as well,” said Elliott. Some of the other participants in the 2016 show include Fumihiko Maki, Peter Eisenman, Denise Scott Brown, Fentress Architects and GMP Architekten. “TIME -SPACE-EXISTENCE” is an official collateral event of the Venice Architecture Biennale 2016.